This month I started a new habit in my life: The Bullet Journal. It’s helped me stay focused on the 10,000 things that happen on a daily basis. With this journal method, I can look back on each month and see just where it went. It also helps me keep track of important life lessons, events, revelations. So with its help, I will be joining Emily Freeman at chattingathesky.com each month by posting what I have learned. I hope this practice encourages you to take stock of life and reflect on what you have learned so that you can keep growing into the person God has called you to be. So this month, I learned . . .
1. I am a fan of Daylight Savings Time. I know many people are vehemently opposed to this practice, but I love those well-lit late evenings. I’m filled with energy and find I want to take one more spin around the track as the sun settles into its bed. Summer and freedom are near! 2. A book with a little mystery and a little romance make me happy. Case in point: The Magician’s Lie. 3. Passion + Career = blissful purpose. 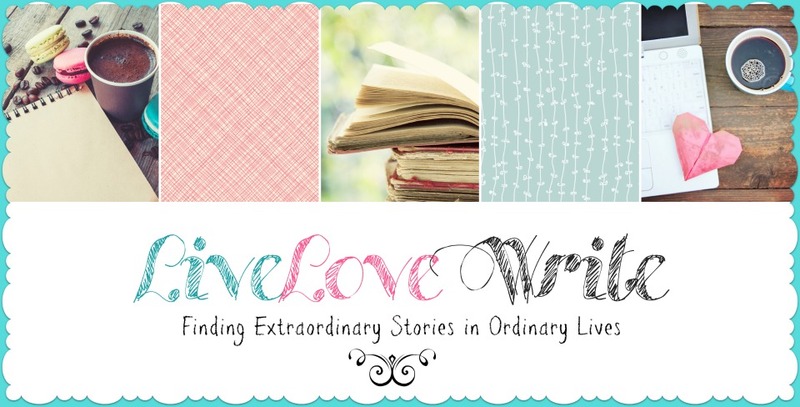 This month I discovered how to mesh my love of writing, teaching, and mentoring and make it a job! I’m thrilled and can’t wait to share this venture with my readers. Stay tuned. News is coming soon! 4. I can do anything! This month began with Keith and I speaking and performing a skit entitled Trust Fall. One line has repeated itself over and over to me this month: “Jesus, I trust you.” So many things in my family’s life right now is up in the air. I won’t bore you with the long list. However, God has repeatedly reminded me that he is in control and worthy to be trusted. The reminders came in the form of various blogs, sermons, songs, status updates, etc. In fact, just this morning he sent this jewel my way. I guess if both He and I repeat it over and over, it will eventually sink in. 6. The book is always better than the movie. 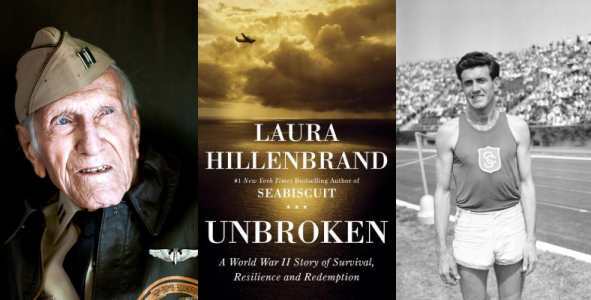 This past week we watched the movie version of Laura Hillenbrand’s Unbroken. Several months back the family had listened to the book on CD during our long trips to Florida. The book was AMAZING, POWERFUL, AND HIGHLY ENTERTAINING. Zamporini’s story has God’s fingerprints all over it. However, if you only watch the movie, Hollywood conveniently leaves that out. Get the book! You will be glad you did. 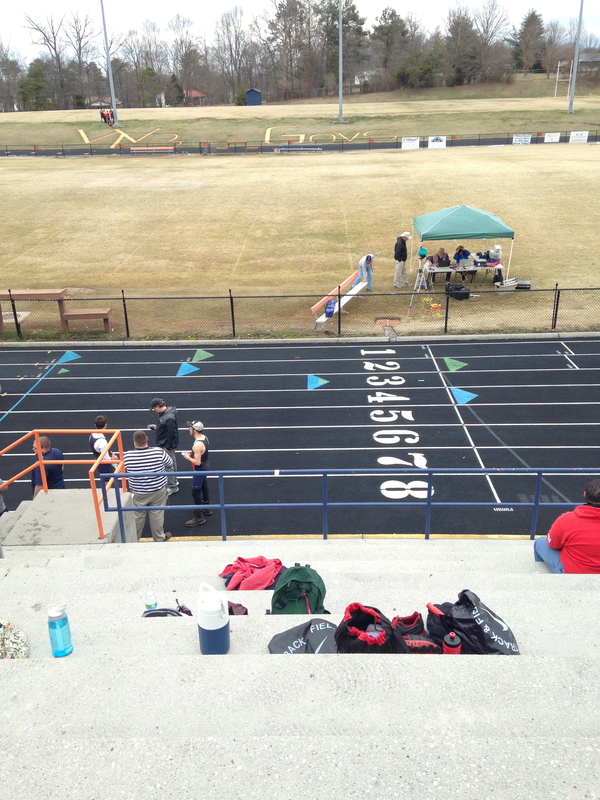 Both the kiddos are on the high school track team this year. Last week, while standing at the fence hearing coaches encourage and guide their athletes, I had a moment of nostalgia for my days of coaching. There’s nothing quite like earning the right to be a guide in a teenager’s life – to coach them in the fundamentals of a sport AND life. Even better is when you see their hard work and dedication pay off. I miss it so! 8. I’m a great starter and a not-so-great finisher. My bullet journal and half-marathon endeavors have been a hard fight to maintain. I’m determined however to become a finisher – to learn to think long term and live by it. 9. Taking the hills in life teach me more than the flat paths. Since that post, I’ve practiced what I’ve preached and quit avoiding the hills. I still don’t like them, but I run them. 10. My blog readers love a good post about parenting. Maybe I should start sharing more on that front. But if there’s one thing parents are shy talking about, it’s parenting skills. I don’t think anyone feels they have it all together in that field, but maybe we could simply encourage one another – God know we need it! Now it’s your turn. Take a moment and think. This entry was posted in Spiritual Encouragement, Things I Learned on March 30, 2015 by aliciachall28.